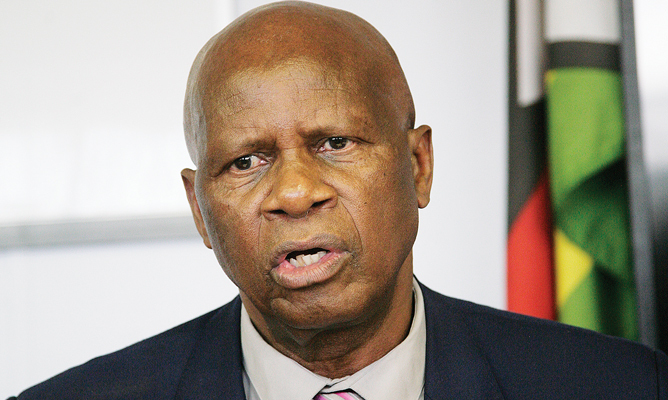 Finance and Economic Development minister Patrick Chinamasa says bureaucracy in local authorities and State agencies was frustrating President Emmerson Mnangagwa’s efforts to attract foreign direct investment. In a speech read on his behalf by Finance permanent secretary Willard Manungo at the Zimbabwe Revenue Authority’s (Zimra) annual general meeting in Harare yesterday, Chinamasa said local authorities and State agencies had not heeded the message of the country’s openness for business. Chinamasa said some visitors came to his office and said: “If we really wanted to experience how low we are in terms of doing business in the country, all we need to do is to start doing business”. He said State agencies and local authorities needed to create a conducive environment for business to prosper. While Zimbabwe improved its ease of doing business standing to 159 out of 190 on the World Bank’s 2018 global rankings, it is still far behind mainly due to bureaucracy from local authorities and State agencies.